Home › Australian › Blaming A Mental Health Issue For An Act Of Terrorism Takes Away From Genuine Mental Health Issues. 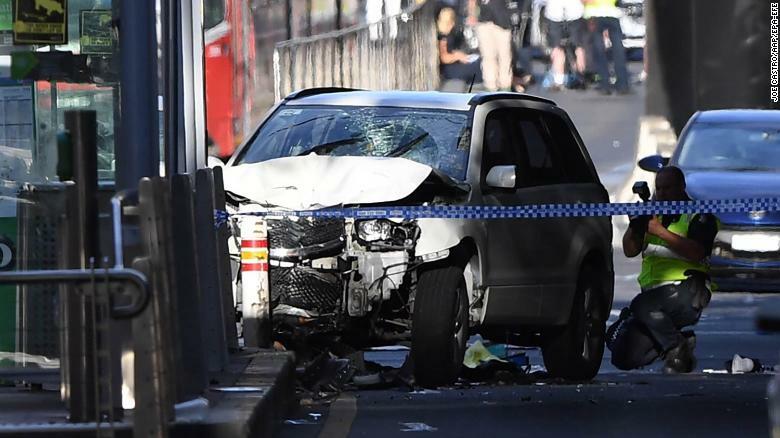 Since the white SUV was purposefully driven through Christmas shopping crowds in one of Melbourne’s busiest streets on December 21st, there has been much speculation as to the motive behind the attack. Almost immediately….in fact with breath taking speed, authorities deemed it an attack by a person with mental health issues…. this conclusion was made within two hours of the attack which amazed me that such a medical assessment and conclusion could be drawn in such a short space of time. Now sure this person may have had a previously diagnosed mental health issue but that doesn’t mean that this specific attack was caused by his mental health issues. Then the media started reporting that the perpetrator of the attack, Saeed Noori, had been making rambling comments that the attack was due to the way Muslims were being mistreated. He also made comments related to Allah and also ASIO. Noori is a Muslim Australia citizen originally from Afghanistan. One of Noori’s former work colleagues spoke of his very passionate commitment to Islam. But authorities insist his Muslim faith contributed nothing to his motives for the attack. They seem supremely confident of this. Here is the problem. There have been many so called ‘lone wolf’ attacks this year and over the last few years and all of them have been Muslim terrorists. Now a Muslim drives his SUV into a crowd of shoppers in Melbourne and the authorities are falling over themselves to tell the Australian population that it’s a mental health issue…. I wonder why all the smoke and mirrors? Here is the second problem. I have seen many Social Media posts mocking the mental health line being fed to Australians by Authorities. I feel sad for people with a genuine mental health issue. Mental health has a stigma already attached to it in Australia and we need to be having authentic and robust conversations about it…..not using it as a smoke screen to hide what is clearly a terrorist attack. Sadly, I think that all the media and social media discussions around Noori’s apparent ‘mental health’ motives for the attack, may stop people with genuine mental health issues seeking help. And indeed isolate others that are seeking help and also seeking understanding from society. If you feel you aren’t coping with life, or you are struggling with depression, weird thoughts or other issues, I encourage you to seek some help. There is much help out there and people willing to support you and walk with you on your journey. Don’t let this issue isolate you. ‹ My friend Lynne Drake died yesterday.